My friends, when you read this, my wife, daughter and I will be at the airport waiting to board our plane for our trip to Disneyland! It has been a long time coming, with a lot of planning, detail work, and research to determine the best things to explore at the parks, but it has been well worth the effort. However, despite all of the great attractions, dining locations, parades, shows, and other awesome things that Disneyland and Disney’s California Adventure parks have, what really matters the most to me about this trip is seeing the park that Walt Disney himself graced oh so many years ago. My prediction about our trip is that we will have an incredible time seeing new things, meeting new friends that we already know from our blogs, and so forth — but for me, I think witnessing the history that Disneyland brings to the table each and every day will be the highlight of my trip! Looking at the apartment that Walt Disney actually lived in some; seeing the park bench where he watched his girls go around the carousel at Griffith Park; walking some of the same paths that Walt Disney himself walked — all of these are things that I think I will get the most thrill over. I did some research of my own, and turned up a few pictures you might like to get another look at. 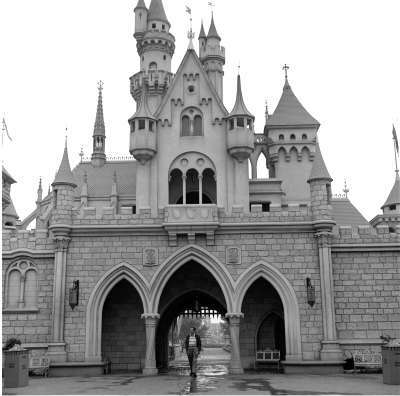 The first, of course, is that timeless picture of Walt Disney walking through Sleeping Beauty Castle at the top of this post. Here are the other two, I hope you enjoy them! 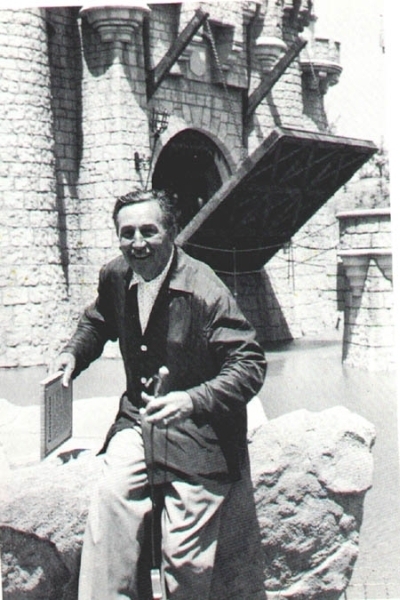 Walt Disney on Opening Day of Disneyland, July 17, 1955! 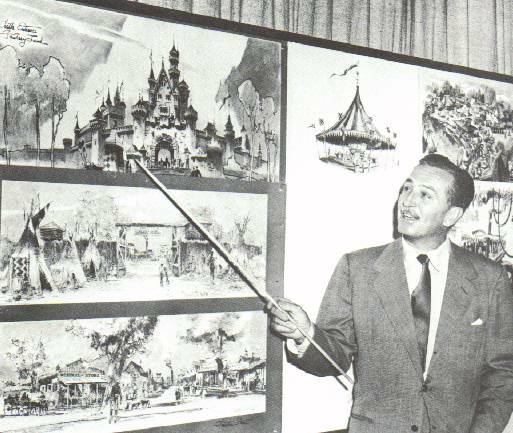 Walt Disney explaining some of the planning that is going into his new “Disneyland” park! If you missed any of the posts I did on my 100 Days to Disneyland series, I invite you to take a look at them and read about your favorites! Just click on the link, and then click on the articles that interest you the most! As always, thank you for stopping by and making My Dreams of Disney a part of your Disney Fix. It means a great deal to me that you do so!